Once you access the Font Preview Tool link above, you will determine the font(s) you wish your engraving(s) to be in. It will be most useful to read the 'Please Read' section and get acquainted with the tool by making use of the Phrase section so that you can see your real time selections in the large gray box once you hit 'SHOW ME'. 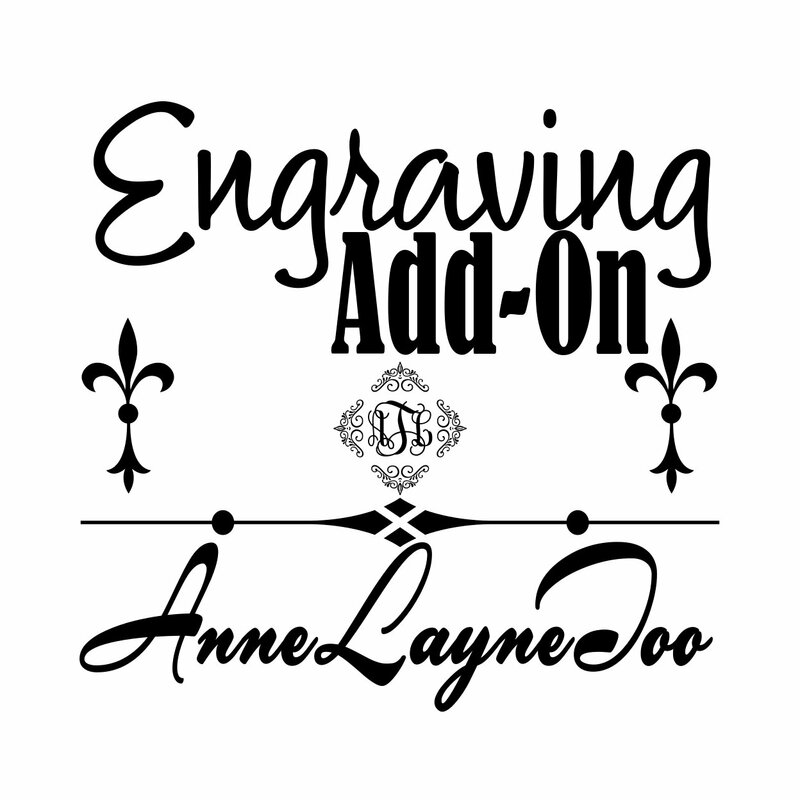 *Each Engraved line will be scaled according to what will fit in the area of the item you will be purchasing. 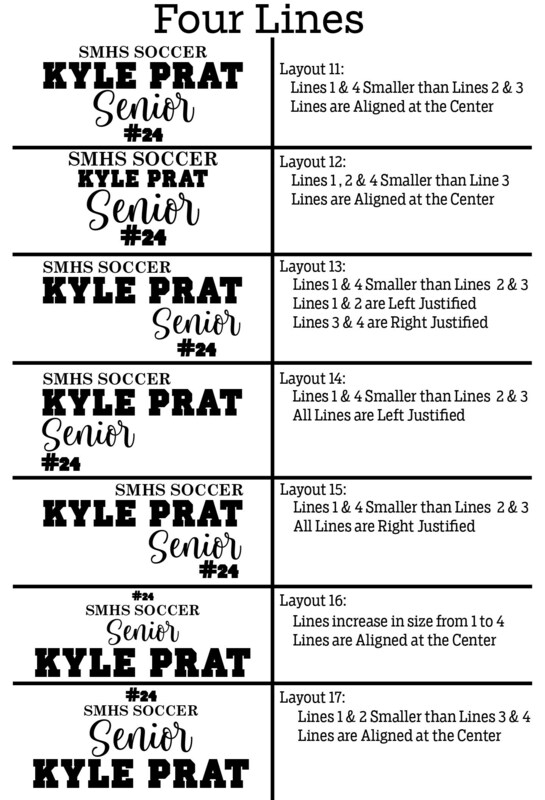 Each line's height can range from <1" up to 6". 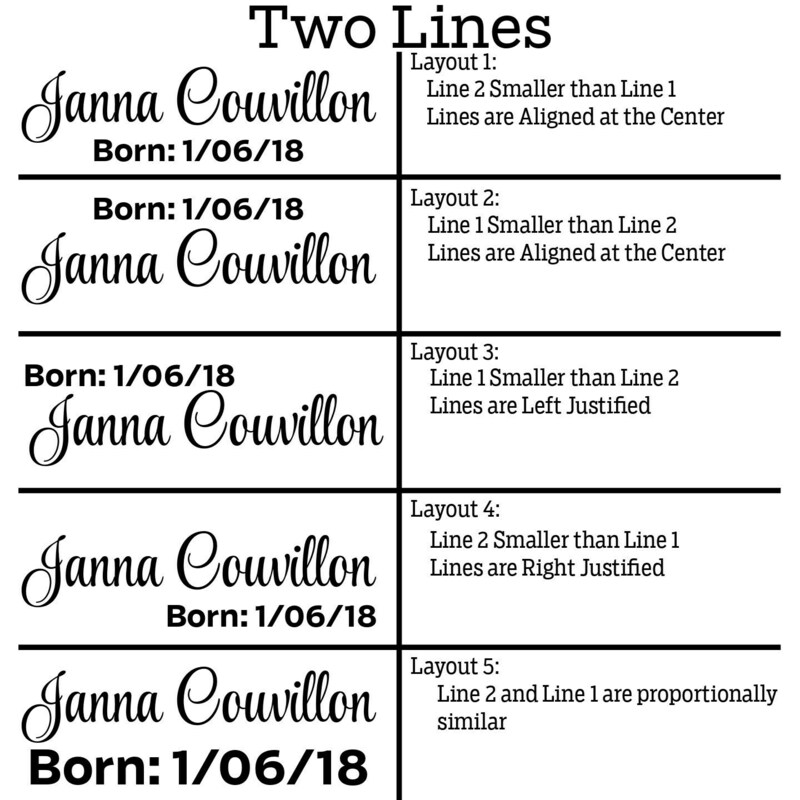 If you want some line to be smaller in height than the others, please let me know in the notes when you check out, otherwise, each line will be scaled proportionally to one another according to the space, the font and the text chosen. 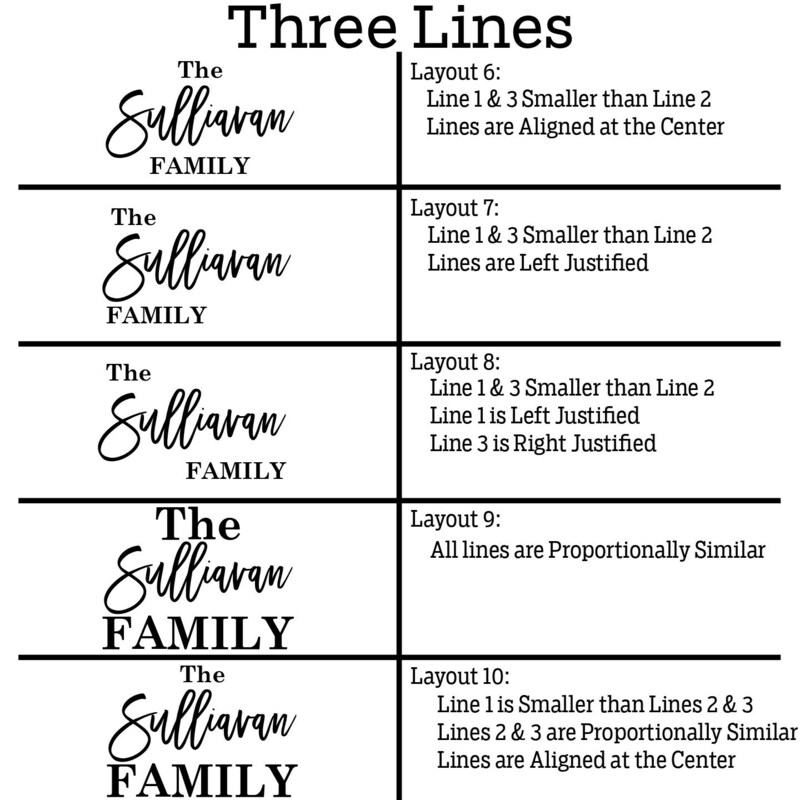 For your assistance, I have provided layout options in the photos for you to choose from if you would rather my layout design options. Just put that in the Personalization section when you check out.